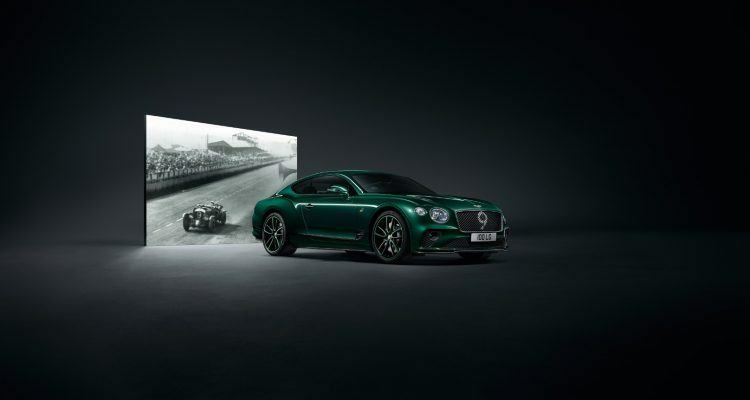 The Continental GT Number 9 Edition pays homage to Bentley’s racing heritage. Bespoke elements include a popular race car and aviation finish from the 1920s and ‘30s. Mulliner will handcraft only 100 of the Number 9 Edition cars, making them a rare collector’s item. Here’s a limited edition I can get behind: the Bentley Continental GT Number 9 Edition by Mulliner. That’s a bit long-winded, so I’ll go with the Number 9 Edition. True, it’s more of a grand tourer than an outright sports car, but it’s still plenty cool. And plenty fast. And plenty comfortable. You don’t really think of Bentley as being a performance brand these days. Oh sure, they’ve got enough power to dust a bunch of cars on the road, but the public perception is one of luxury first, then performance. It was not always that way. Back in the 1920s and 30s, Bentley made serious sports cars. Sports cars you could drive to Le Mans, race, and win with. Sure, they were large and heavy and rather agricultural in their chassis design, but with a big enough engine and, more to the point, an even bigger blower bolted to that big engine, you can outrun the competition. 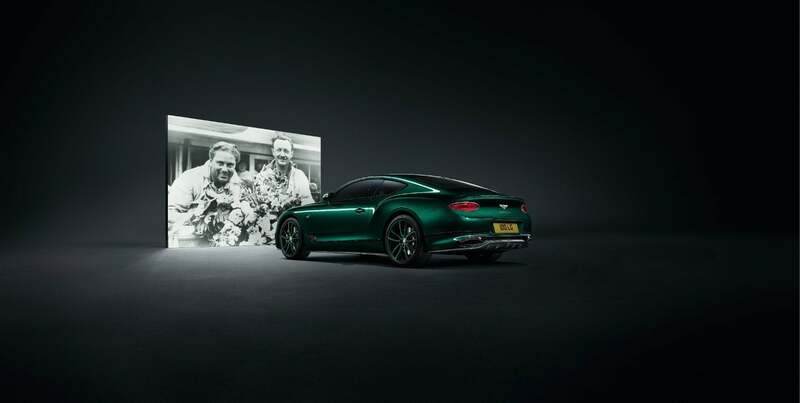 The Bentley Continental GT Number 9 Edition is a version of their Conti GT, which celebrates the company’s racing heritage. The big “9” on that lovely mesh grille harkens back to their victorious Le Mans racer, and is such a cool touch that it’s worth buying the car for that alone. While there is no denying the rich history, the Conti Number 9 is more than just a number spray-panted on the grille. A lot more. The No.9 was the supercharged Bentley ‘Blower’ Sir Henry Ralph Stanley ‘Tim’ Birkin raced at the 1930 Le Mans 24 Hours. He commissioned the production of a series of 4 ½ Litre Bentleys, powered by a supercharger developed with independent engineer Amherst Villiers. Power increased from around 110 bhp to 175 bhp with the supercharger installation. Photo: Bentley Motors. Related: The quest for more power: the story of the ‘Blower’ Bentley. For starters, this guy features a Mulliner body. Mulliner is one of those olde-school companies that used to build the bodies for cars back when you bought everything separate. They are very, very good at what they do and are also very, very British. For Bentley and Bentley buyers, nothing less than Mulliner would ever do my dear boy. Their roots date back to the 1500s and the creation of luxurious horse-drawn carriages. 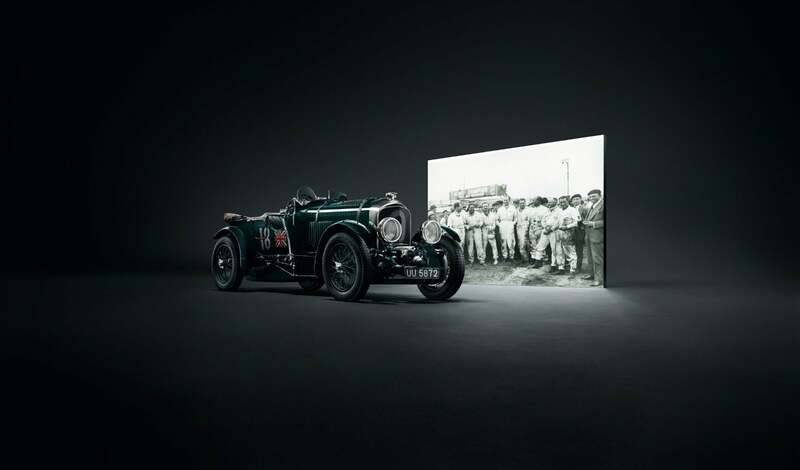 Mulliner showcased work on a Bentley chassis for the first time in 1923, exhibiting a two-seater Bentley at the Olympia Show in London, four years after Bentley Motors was founded. Today, Bentley’s Mulliner team helps customers personalize their Bentley with bespoke themes, some of which are really elaborate. The Number 9 Edition is also noticeable by No. 9 badge work throughout the car. The exterior colors are up to the customer: Viridian green or Beluga black. Now, the Beluga black is very nice and shows the lines ever so well, but England expects you to go with the Viridian green option. And if that’s not enough, W.O. expects it as well (and if I have to explain to you who W.O. is, then I will have to most strongly question your upbringing sir, most strongly!). Bentley Continental GT Number 9 Edition. Photo: Bentley Motors. Related: “To build a fast car, a good car, the best in its class.” The story of W.O. Bentley. On the inside you have the choice of Cumbrian Green or Beluga heritage hides, each with higher gloss levels applied to the seats, inner door panels, and other areas. There’s debossed ‘B’ logos on the headrests and door panels, just like they did on the original ‘Blower’ back in the day. The dashboard is uniquely crafted and features “Engine Spin” on the center console. Often known as “Turned Aluminium,” Engine Spin was a popular race car and aviation finish in the 1920s and ‘30s as it limited light reflection. In yet another classy move referring back to the good old days, there’s an exclusive British Jaeger clock face in the center console. It’s inspired by the original ‘Blower’s’ dials and uses the same traditional manufacturing methods of race car dials from the vintage era. Also – and this is one of the coolest moves I’ve seen a car company pull off in a very long time – the Continental GT’s Rotating Display features a wood insert from the seat of Sir Tim Birkin’s No. 9 Le Mans race car. This backlit piece is set in resin and situated in the middle of the center dial of the rotating display, and I am floored by the gracefulness and classiness of this move. You get a car and you get a piece of racing memorabilia. Bentley is only making 100 of these bad boys, and each will feature 18K gold-plated organ stops like those found in the original. As with the other Continentals in the line, the Bentley Continental GT Number 9 Edition is lighter, faster, and even more refined. Powered by the company’s W12 TSI engine, it hits 60 mph from a standstill in 3.6 seconds, topping out at 207 mph. No, you’re not going to confuse it with a Lotus Elise, but Land o’Goshen this guy hauls the mail! All I can say is you better buy yours in Viridian green or you will deserve the slap The Queen of England will lay on you. Photos & Source: Bentley Motors. No Comments on "Bentley Continental GT Number 9 Edition: The ‘Blower’ Reimagined"